All eyes have been on SpaceX the last few months. Even though the company, which was founded in 2002 by Elon Musk, has been launching rockets for quite some time, tomorrow will mark the 50th launch of the SpaceX Falcon 9. Falcon 9 is a rocket that uses liquid oxygen and kerosene propellants. It was designed to be use multiple times, which helps make space travel much less costly. In 2008, NASA became interested in using the rocket to help transport cargo to the International Space Station, and it’s made many missions to space since then. And cargo aside, SpaceX hopes to bring humans to space using Falcon 9 in the near future. This time around, the rocket is expected to carry the Hispasat 30W-6 communications satellite, which is somewhat of a hefty goal — literally. 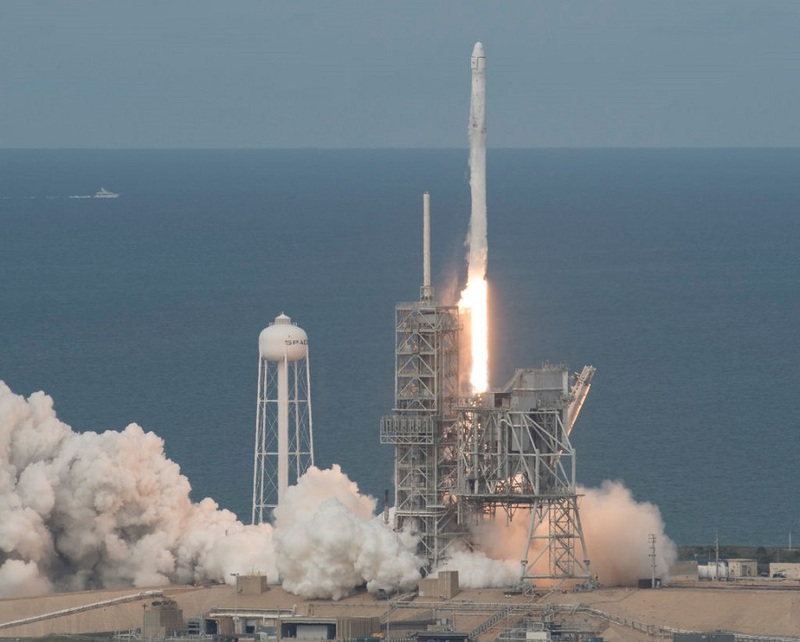 According to Ars Technica, the satellite is a little over six metric tons, making it the heaviest load that SpaceX has ever attempted to send into orbit. And in doing so, Falcon 9 is expected to use up all of its fuel, which means it’s not expected to have a landing as graceful as past launches. Some of the most notable launches to date have been the Falcon 9 Paz mission, which took place on February 22nd of this year, and the Zuma mission, which happened in January. At this point, you’re likely wondering how you can view the launch. The launch is set for 12:33 a.m. ET. And as with all launches, there’s a two-hour window of cushion room to ensure that everything’s good to go and the weather is appropriate — meaning you could have to stay up pretty late to see it launch. SpaceX also noted that there’s a backup launch for the same time set for March 7th, just in case. The launch itself will be taking place at the Kennedy Space Center in Florida, but you can watch it on the SpaceX website as it happens.